To this end scientists supported by the EU-funded projects AVAST and SLIM have been researching how ash particles are affected by different volcanic eruptions. The idea is that if researchers can estimate the size shape and composition of volcanic ash then they can more accurately predict the hazards of various eruptions without even sampling the ash. To achieve the goal the project team has used a novel analytical method to grasp how varied eruptive activity affects a range of hazards. Their new technique is based on quantitative mineral analysis conducted under a scanning electron microscope enabling them to link the surface composition of volcanic ash particles to activity during eruptions. The research results have been published in the journal Scientific Reports. The researchers obtained their ash samples from the Guatemalan volcanic complex Santiaguito that has been growing since 1922. 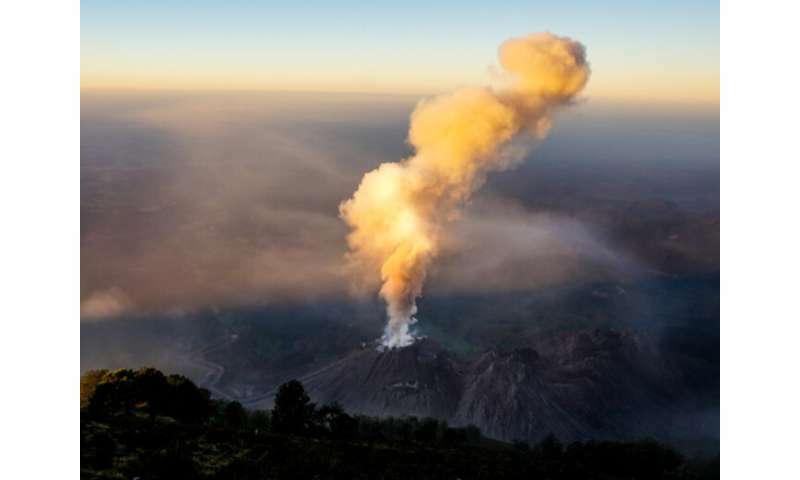 The most recent of its four vents, Caliente, has been actively erupting for more than 40 years, with regular explosions of ash and rock fragments, and a near-continuous lava discharge. The volcanic ash studied was selected from two sources. One source was a vulcanian explosion consisting of gas and ash clouds ejected high up in the air. The other was a pyroclastic flow – a fast-moving current of hot gas and volcanic matter sweeping down the sides of a volcano – caused by a dome collapse at the Santiaguito complex. Volcanic ash particles are less than 2 mm in diameter and are usually made up of crystal and volcanic glass formed in magma and sometimes also rock fragments. In their study the project team introduced a system called QEMSCAN (Quantitative Evaluation of Minerals by Scanning Electron Microscopy) Particle Mineralogical Analysis. They used this new system to examine their Santiaguito ash samples and to investigate the fragmentation mechanisms. "How magma fragments depends on the type of volcanic activity involved in its production and this also changes the mineralogy that is found at the surfaces of the ash particles" explained lead author Dr Adrian Hornby in a news item posted on Phys.org. The ash samples obtained from the vulcanian explosion had an even distribution of plagioclase – a form of feldspar – and glass, enriched with other minerals at the particles' surfaces. However, the ash generated from the dome collapse had more glass and less feldspar at the surfaces. "Our findings make a significant contribution to a better understanding of the origin and composition of volcanic ash – which is necessary to enable the risks associated with eruptions to be assessed," stated Dr Hornby. The research supported by AVAST (Advanced Volcanic Ash characteriSaTion) and SLIM (Strain Localisation in Magma) highlights the need for further investigation into fragmentation mechanisms. SLIM ended in June 2018, while AVAST continues until August 2019.